Photographer: David Sims. Model(s): Edie Campbell. Source: Vogue Paris. Stylist: Emmanuelle Alt. Makeup: Lucia Pieroni. Hair: Paul Hanlon. 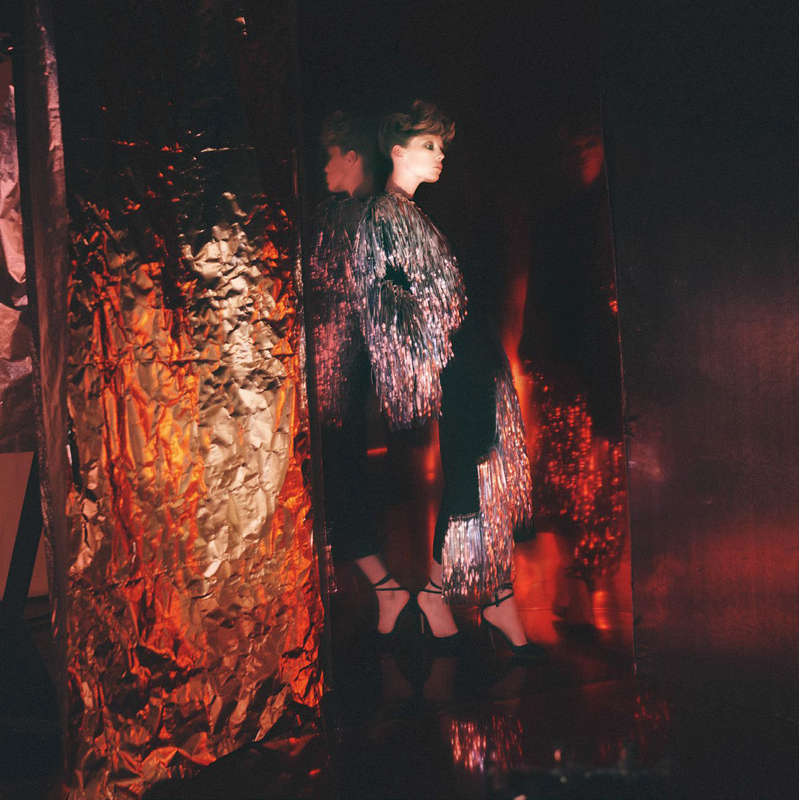 Edie Campbell delves into disco decadence in “Bright Star” by David Sims for Vogue Paris, March 2016. 70’s inspired styles that became dedicated to art of movement. Through means of expression this era became about the advent of individuality. Flamboyant fabrics weren’t merely pieces of cloth sewn together to form au courant designs – they were a statement of purpose. 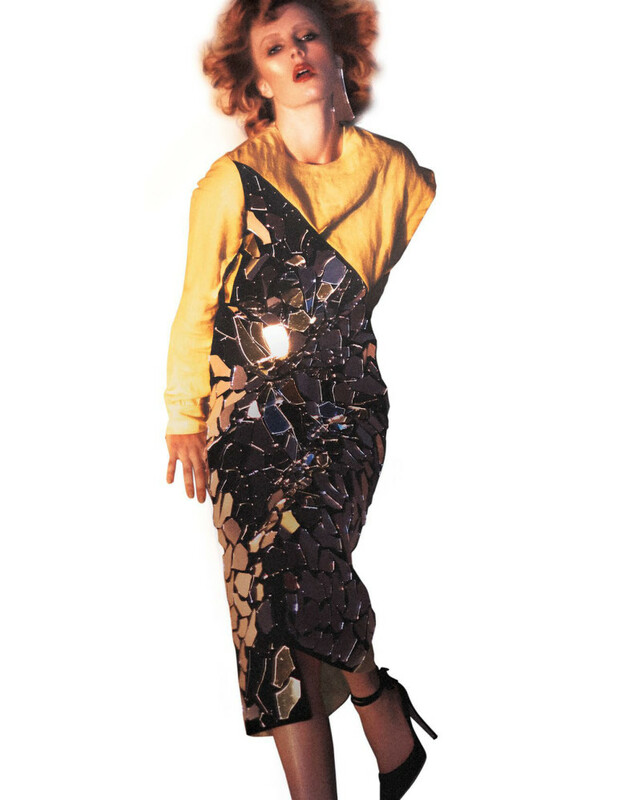 The disco culture flourishes with a savage sensibility, as shiny neo-styles imitate the passion of play. Editor-n-Chief, Emmanuelle Alt, gives a tour de force of fashion by celebrating the time-honored tradition of era hopping. This decade wasn’t just about showing off skin, it was about fusing fabrics to the curves of the body. Never before and since, has there been a style initiative so focused on this kind of connection. Golden ensembles reek of revival as the ritual of renaissance power is complete. Metallic silver slides down the body as silk embellishes in specific form. Glitter gains attention from hot pants and a beaded button-down, to a gold lamé skin-tight dress with an asymmetrical neckline. Adorned in excess Edie lays sprawled out with knee-hi boots crawling up her legs. Stardust is seen in the sprinkle of time as glitter bombs burst in the blink of an eye. Beauty erupts as Lucia Pieroni captures the tune of triumph through the music of makeup. Metallic makes its mark as frosted, white shadow licks just above the lids. The face is covered in a rich halcyon glow as lips are kissed with a deep orange hue. Vintage skin complements as the drama of disco reigns supreme. Paul Hanlon creates subtle styling so outstanding we hardly recognize the shift in technique. Big curls are indicative of 70’s coiffure, while each look embraces a unique flavor. Tones of amber stay true to the times while unique up-dos pay tribute to decadence. 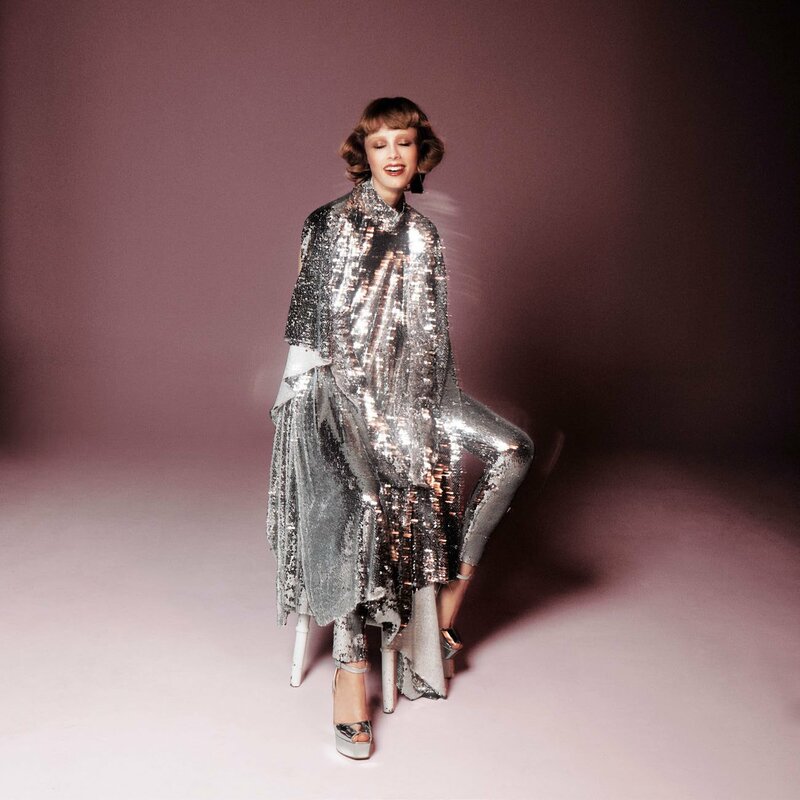 That’s the Way uh-huh, uh-huh ~ I Like It ~ uh-huh, uh-huh… Sequins sizzle as Sims reaches new levels of creative expression, riding us into the flames of disco infused fantasy.